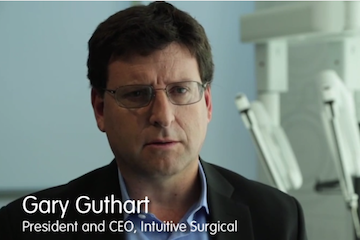 Gary Guthart, CEO of Intuitive Surgical, explains the value of a strong company mission in attracting and retaining the best employees. 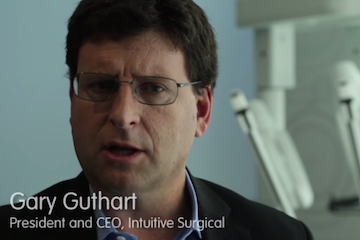 Gary Guthart, CEO of Intuitive Surgical, describes the surgery landscape and the gap addressed by the da Vinci Surgical System. 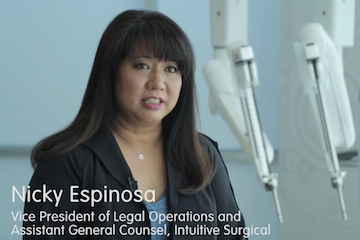 Nicky Espinosa, VP of Legal Operations and Assistant General Counsel for Intuitive Surgical, advises innovators on when, why, and how to seek legal counsel during company formation. 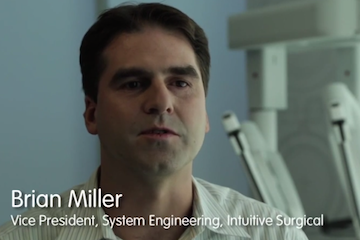 Brian Miller, VP of System Engineering at Intuitive Surgical, describes some of the sources of product requirements in its design/development cycle. 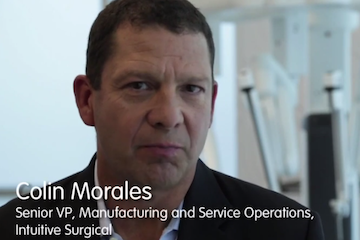 Colin Morales, Senior VP of Manufacturing and Service Operations for Intuitive Surgical, explains the company’s philosophy toward in-house versus outsourced and US versus OUS manufacturing. 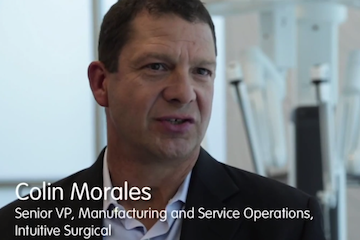 Colin Morales, Senior VP of Manufacturing and Service Operations for Intuitive Surgical, shares insights related to managing company growth in manufacturing. 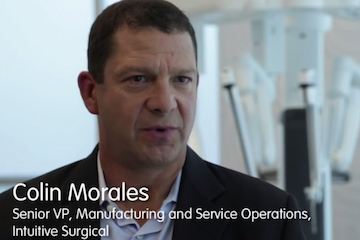 Colin Morales, Senior VP of Manufacturing and Service Operations for Intuitive Surgical, describes why and how the company strikes a balance when it comes to the use of automation in its manufacturing operations. 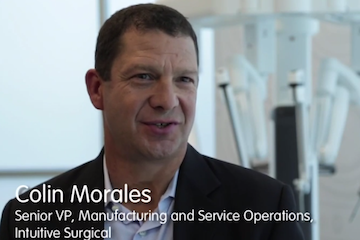 Colin Morales, Senior VP of Manufacturing and Service Operations for Intuitive Surgical, provides an overview of the manufacturing metrics used by the company. 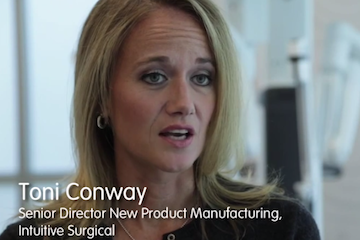 Toni Conway, Senior Director of New Product Manufacturing at Intuitive Surgical, describes the value that comes from a close collaboration between engineering and manufacturing. 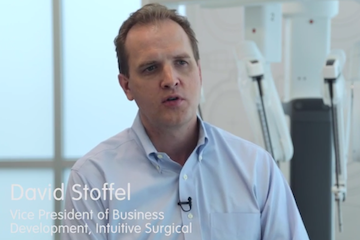 David Stoffel, Vice President of Marketing and Business Development for Intuitive Surgical, discusses the importance of managing stakeholder perceptions, especially when it comes to economic value. 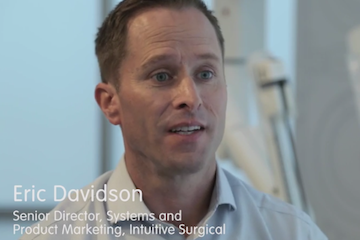 Eric Davidson, Senior Director of Marketing for Intuitive Surgical, explains why the company’s core unit of business is procedures, and how it seeks to drive procedure adoption. 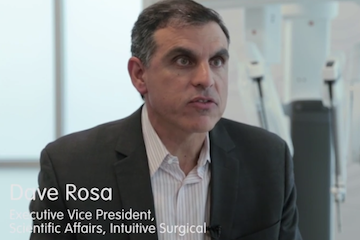 Dave Rosa, Chief Scientific Officer for Intuitive Surgical, shares advice for developing and managing a worldwide marketing strategy. 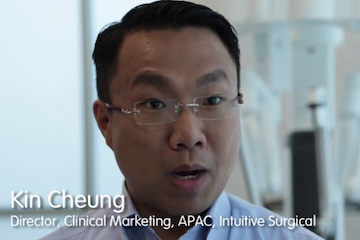 Kin Cheung, Director of Asia Pacific Region Clinical Marketing at Intuitive Surgical, highlights some of the differences between stakeholders in the US versus Asia and how that affects the company’s approach to marketing. 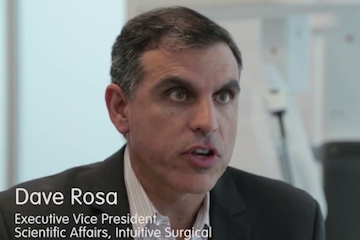 Dave Rosa, Chief Scientific Officer for Intuitive Surgical, talks about the link between regulation and marketing, as well as on-label and off-label use. 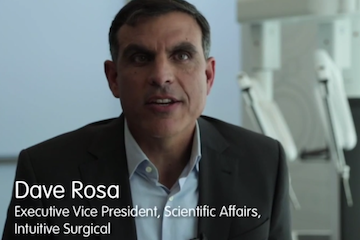 Dave Rosa, Chief Scientific Officer for Intuitive Surgical, provides his perspective on the differences between sales and marketing. 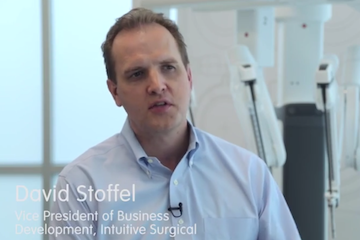 David Stoffel, Vice President of Marketing and Business Development for Intuitive Surgical, describe the types of marketing materials most commonly used by the company and the audiences to which they’re targeted. 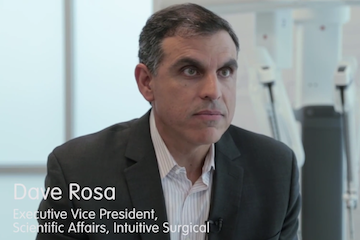 Dave Rosa, Chief Scientific Officer of Intuitive Surgical, and other members of the commercial organization describe the company’s blended sales model and why it makes sense for the organization. 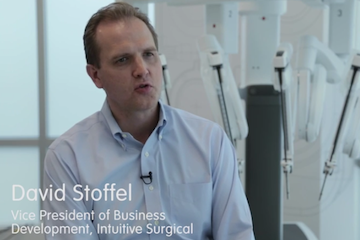 David Stoffel, Vice President of Marketing and Business Development for Intuitive Surgical, shares advice for effectively working with distributors. 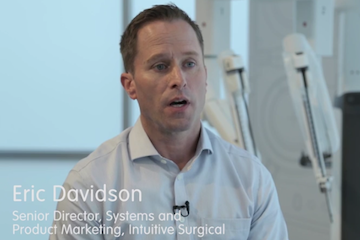 Eric Davidson, Senior Director of Marketing for Intuitive Surgical, explains key differences affecting the company’s capital and clinical sales forces and how the two work together. 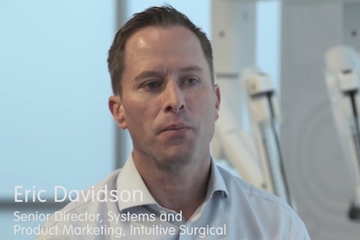 Eric Davidson, Senior Director of Marketing for Intuitive Surgical, discusses how the sales process for capital equipment has evolved and the challenges and opportunities this creates for the company. 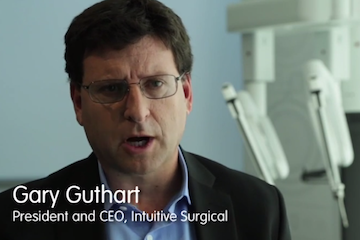 Myriam Curet, Senior VP and Chief Medical Officer, and Gillian Duncan, Senior Director of da Vinci Professional Education and Program Services, describe Intuitive Surgical’s approach to external user training and provide advice on the topic. 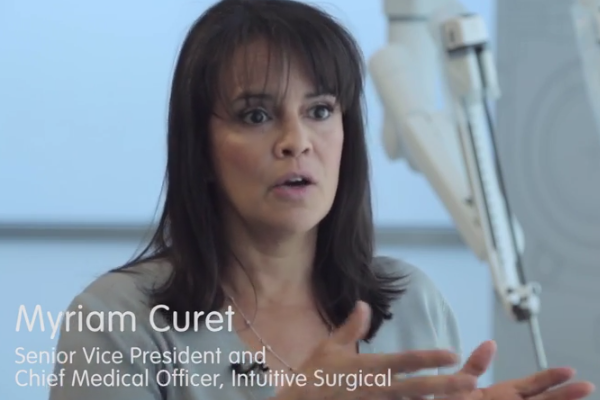 Myriam Curet, Senior VP and Chief Medical Officer for Intuitive Surgical, highlights the importance of carefully addressing the direct and indirect training requirements of the company’s external users. 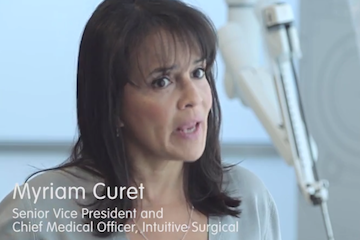 Myriam Curet, Senior VP and Chief Medical Officer for Intuitive Surgical, discusses the important link between the training and sales organizations. 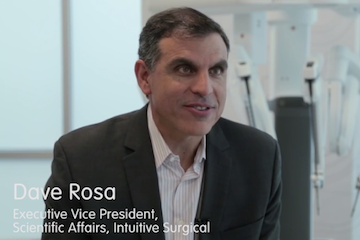 Myriam Curet, Senior VP and Chief Medical Officer for Intuitive Surgical, describes how training and personal commitment are essential ingredients to a surgeon’s decision to become a da Vinci user. 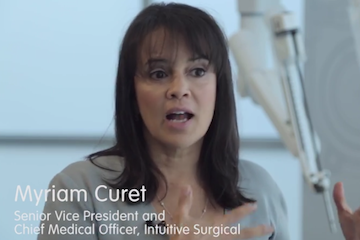 Myriam Curet, Senior VP and Chief Medical Officer for Intuitive Surgical, underscores the importance of validation and measurement in any training program and shares some of her company’s technqiues. 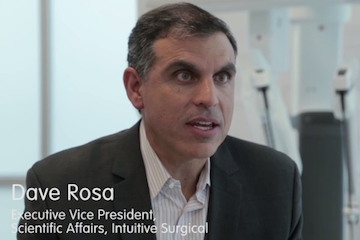 Dave Rosa, Chief Scientific Officer of Intuitive Surgical, describes how the company used a blended first-mover/niche approach to establish a leadership position. 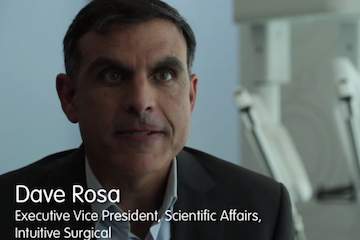 Dave Rosa, Chief Scientific Officer of Intuitive Surgical, discusses his company’s competitive advantage and the challenges it creates. 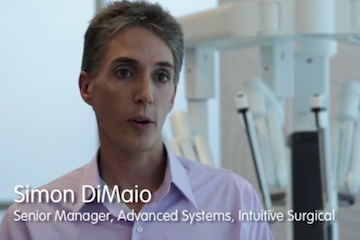 Simon DiMaio, Senior Manager of Advanced Systems for Intuitive Surgical, explains how the company’s relationship with universities has evolved over time and the benefits it realizes by funding academic research. 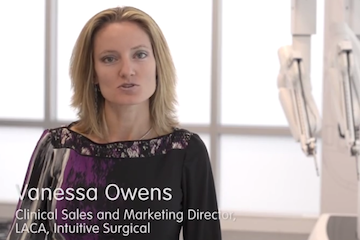 Vanessa Owens, Director of Latin America Clinical Sales and Marketing at Intuitive Surgical, discusses some of the differences that affect sales strategies in Latin America.